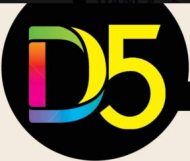 D Five Dance Academy,we provides Dance (Acrobatic Dance Classes) Classes,Dance (Bollywood Dance Classes) Classes,Dance (Belly Dance Classes) Classes to all. D Five Dance Academy conducts classes in Dance. It is located in Nanded, Pune. It takes Regular Classes- at the Institute.